What Is a Writing Prompt? A writing prompt offers a method for writers to focus, practice, and expand creatively. Prompts serve as jumping-off points to help you hone your craft as a writer. A writing prompt is usually a statement followed by questions you can use to craft a piece. The initial statement focuses on a particular subject or an area. For example, a creative writing prompt might suggest, "Describe a cold, empty place." Why is the place cold and empty? What has happened here to make it so? What is the overall feel there? How does being here make you feel? Creative writing prompts spark creativity. Non-fiction prompts may focus on all sorts of things, including biographical information, historical events, descriptions of places or works of art, and many others. Poetry prompts serve as inspiration to write poems. Descriptive writing prompts develop description skills. Expository writing prompts help you explain or teach. Journal writing prompts offer ideas for journaling. Mystery writing prompts are great for writers of whodunnit fiction. Narrative writing prompts help you develop a narrative voice and style. Short story prompts allow you to tell a brief tale. Speculative writing prompts encourage you to explore a given topic by asking questions such as "what if?" Essay prompts help student writers focus on or find topics. A writing prompt may invite you to explore a dream you later use as part of a novel or short story to show character development. Journal or speculative prompts may help bloggers come up with daily topics to continue to engage reader interest. The output from a descriptive prompt may show up later in a work of fiction or non-fiction to help add depth. 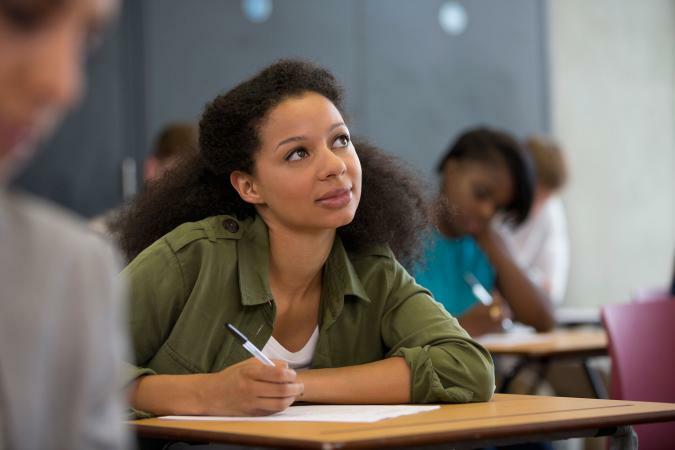 A student might use the result of an essay prompt on a college entrance essay. A non-fiction writer might use the output from an expository prompt as a starting point for a how-to book or article. In his book Outliers, author Malcolm Gladwell suggests that you need to spend about 10,000 hours practicing in order to gain mastery-level proficiency with your craft. While there is debate about the actual amount of time needed for proficiency, it's clear that to hone any craft, including writing, it's necessary to spend time performing and practicing it. Writing prompts offer you the opportunity to build skill and the more time you spend writing, the better you will become at it. You can choose to use writing prompts in any way that feels comfortable to you. Choose a daily prompt and write for 30 minutes each day. Use a prompt when you are feeling creatively blocked. Use a prompt if you are struggling to come up with a topic. Join a prompt-based writing group to learn how the same prompt sparks different writers and to receive feedback on your writing. Use the prompt as a starting point, but feel free to wander if you move in a different direction than the prompt suggests. Allow your own creative expression to step in and take control. Try seeing the prompt as a metaphor instead of taking them literally. For example, with the cold empty space prompt, you could use it as a metaphor for a cold, empty person and describe that person. As soon as you read the prompt, start to write. Try a process called continuous writing. Keep your fingers typing or your pen moving throughout the entire exercise. If you get stuck, write the same word over and over until your brain unsticks and you start to move again. Don't judge what you're writing or edit as you write. Go back and edit later. Prompts don't have to be word-based. You can use photographs, artwork, songs, sounds, aromas, or things you see around you to spark your writing creativity, as well. Prompts allow you to explore your potential as a writer. They are fun exercises designed to spark creativity, help you hone your craft, and to allow you move forward as a confident writer.